We have just written a new Christmas song. Called Christmas Tills Are Ringing, it is a song about Christmas consumerism. Hope you like it. We are very sorry to announce that,due to an unfortunate change in circumstances we’ve had to reschedule The South show at GLOUCESTER GUILDHALL from Aug 25th to Thurs 4th Oct.
Tickets remain valid for the new date. Refunds avail from point of sale. SEE Tickets customers check your email. Irlam Live 2018 is looking like our best every. The legendary Stranglers will headline Friday with very special guest Toyah, who rocked the Irlam Live stage last year, and the fantastic Mohawk Radio. The Saturday line-up is The 80’s vs 90’s. Go West, The South, Republic, Five Star, Jaki Graham and Katrina (ex Katrina and the Wave). Plus Twisted Soul, Kev Gurney’s Club Tropicana, Mr Wilson’s Second Liners and Amanda Heywood. An awesome mix. Leicestershire is set to welcome a brand new major music festival this summer as Texfest lands at Market Harborough Showground from 29 June – 1 July 2018. Texfest is a 3 day music festival that will welcome a host of chart-topping acts in the setting of the Leicestershire countryside. Organisers are also keen to ensure that the festival is welcoming to the many families who are local to the event and have programmed a range of entertainment during the day with a wide variety of food and drinks stalls and a huge funfair for all ages to enjoy! 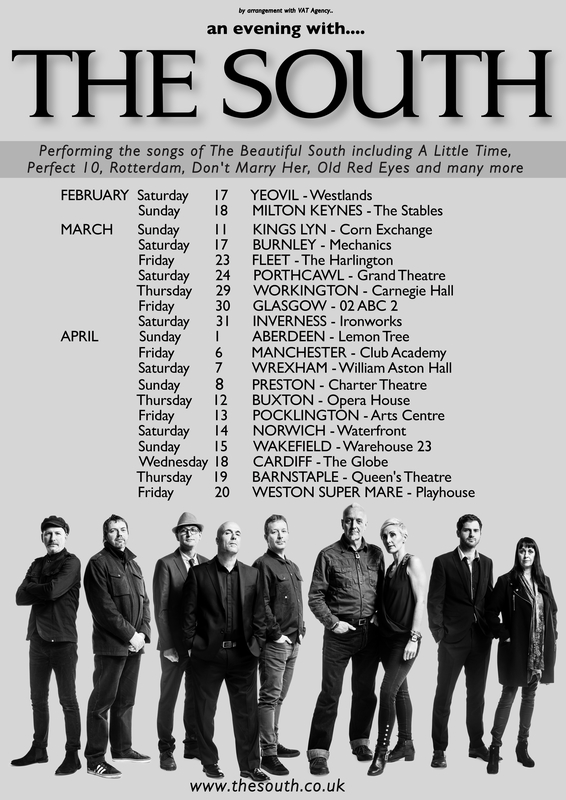 It gives us great pleasure to announce the names of the support acts on the forthcoming tour by THE SOUTH. All good friends of ours and very talented musicians. 22 Bilston Robin 2 – HARRIET! 23 Stevenage Gordon Craig Theatre – HARRIET! Well, that’s the end of the Summer Festival season. 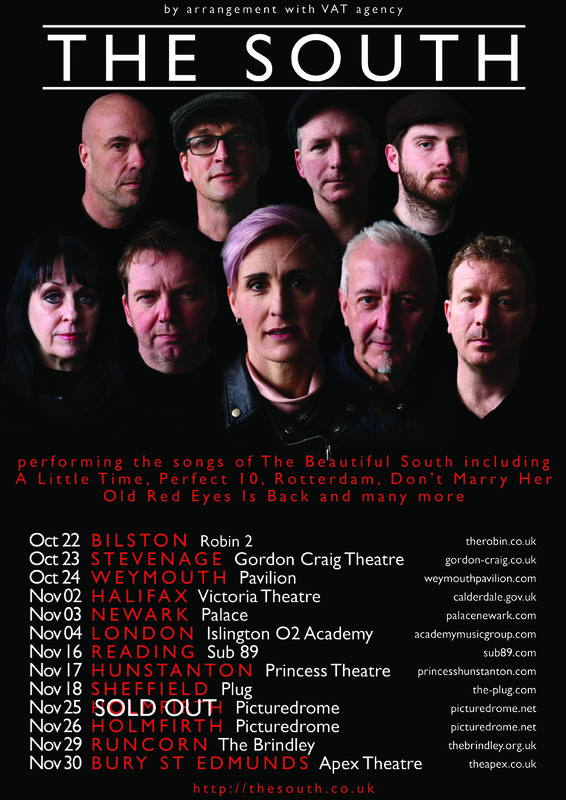 Looking forward to our own tour starting at the end of October. Check out the dates below and get yourself to one (or two) of them.